Amporaha Resort, a humanist hotel in Madagascar. 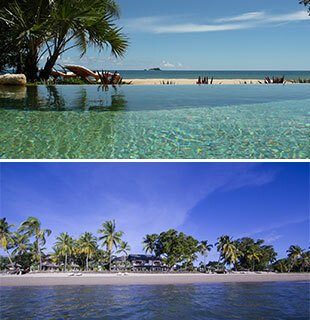 The Amporaha Resort in Nosy Be was built entirely by the local villagers. Run by a young French couple, the hotel combines luxury with human values and environmental commitments. Unlike most projects promoted in tourist real estate, Amporaha Resort is built around a strong dedication to the island and its inhabitants. Removed from the rest of the island and away from the tourist areas, Amporaha Resort is a pleasant refuge. At the heart of lush greenery and lulled by the murmur of the waves, the only hotel on the island also enjoys exclusive access to a very large authentic and tranquil private beach.